The 6-mile Harry Wiggins Trolley Track Trail in Kansas City, Missouri was originally the site of the last streetcar line in Kansas City, the Country Club line. 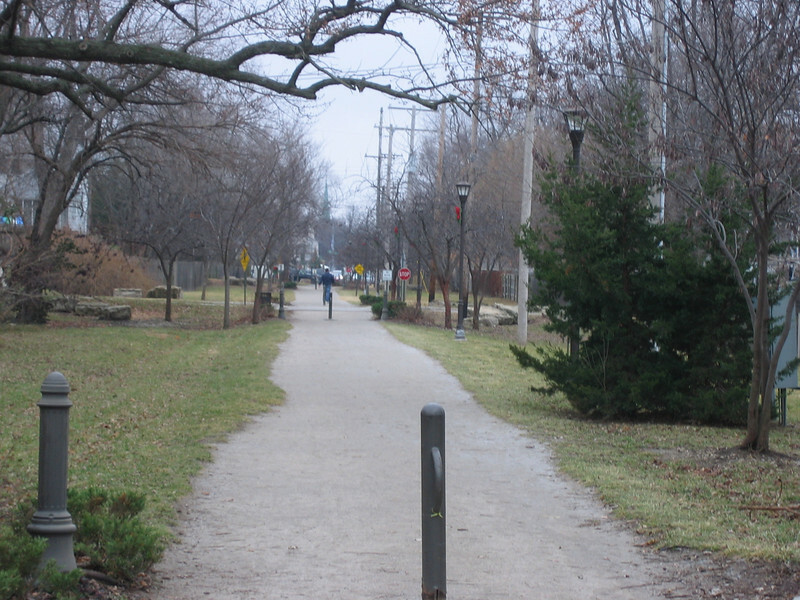 It was converted to a rail-trail in the late 1990’s and is named after the late Senator Wiggins, a longtime supporter of the Kansas City Department of Transportation. The trail is composed of crushed limestone and asphalt, and is used by bicyclists and pedestrians. Plans are already underway to extend the trail an additional two miles and eventually connect it with the regional and state trail systems. The trail received multiple grants from the TE program, including $190,000 in 1998 and an additional $355,000 in 1999.